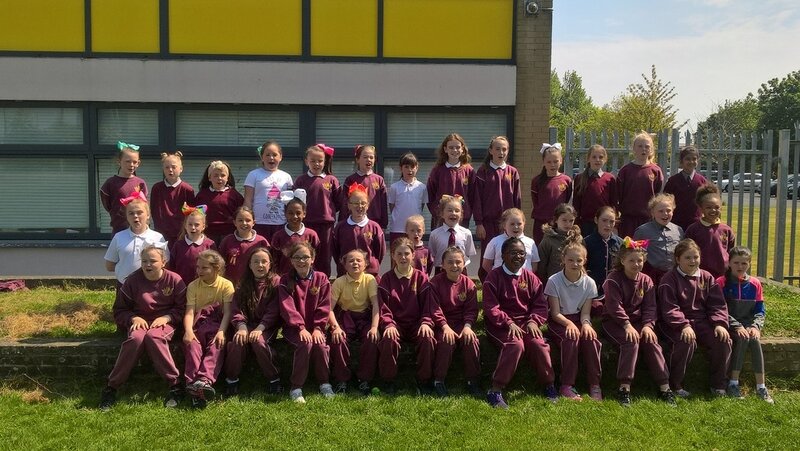 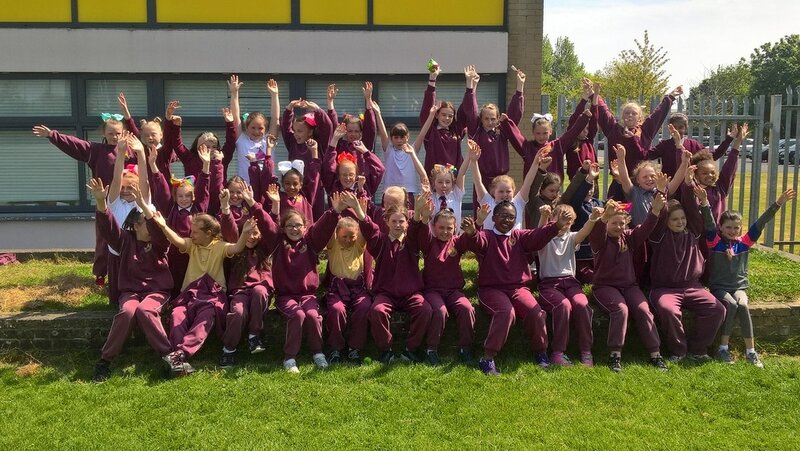 A massive well done to the girls in 3rd, 4th and 5th classes that graduated from the '16/'17 SUAS programme. 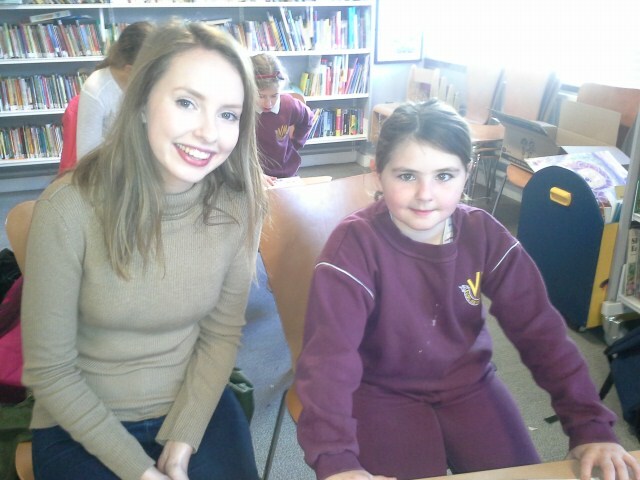 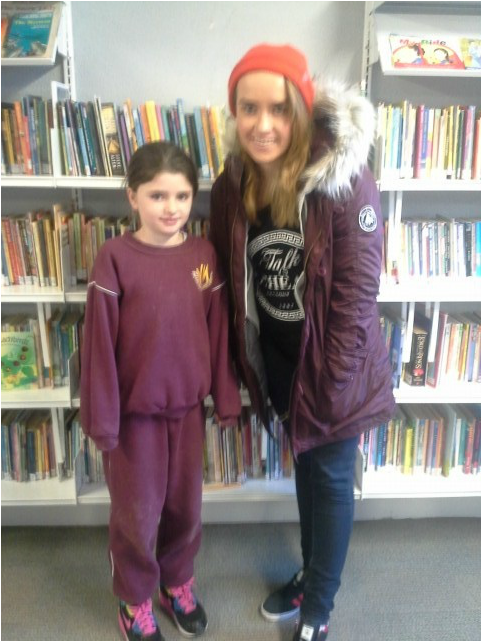 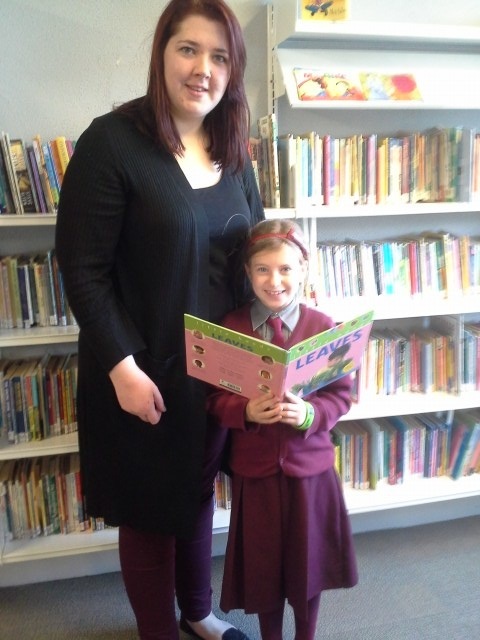 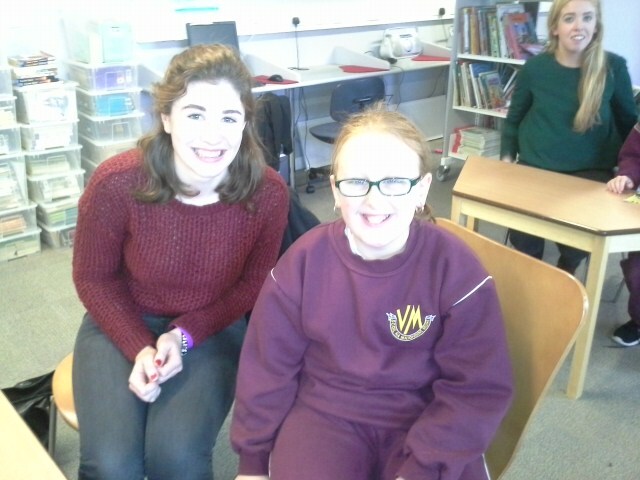 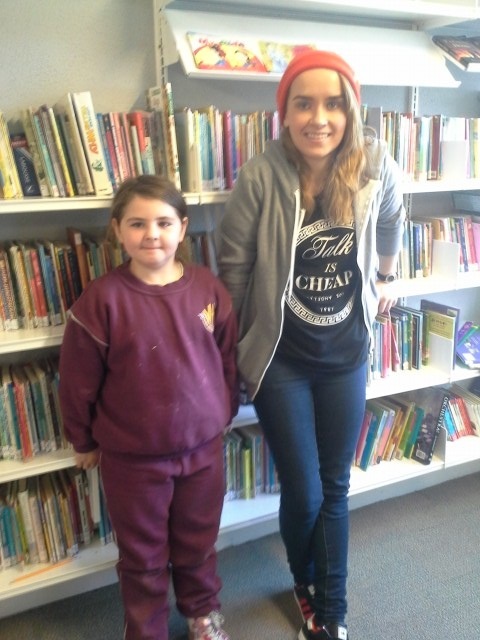 Working with the volunteers from DCU, the girls took part in paired reading sessions each week. They have worked really hard at it and thoroughly enjoyed the experience. 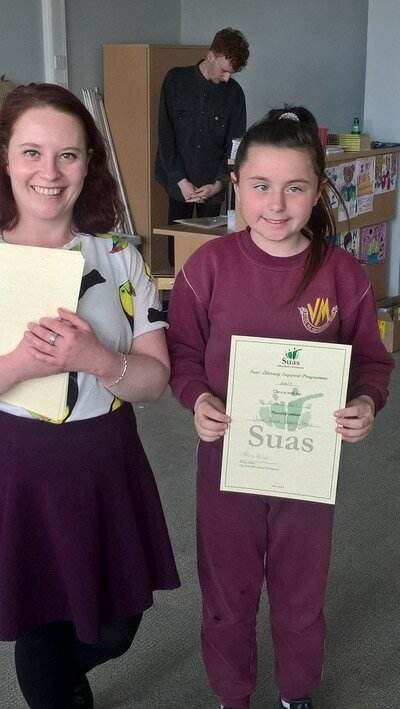 We held an awards ceremony in our school library where the girls were each awarded a certificate of completion. 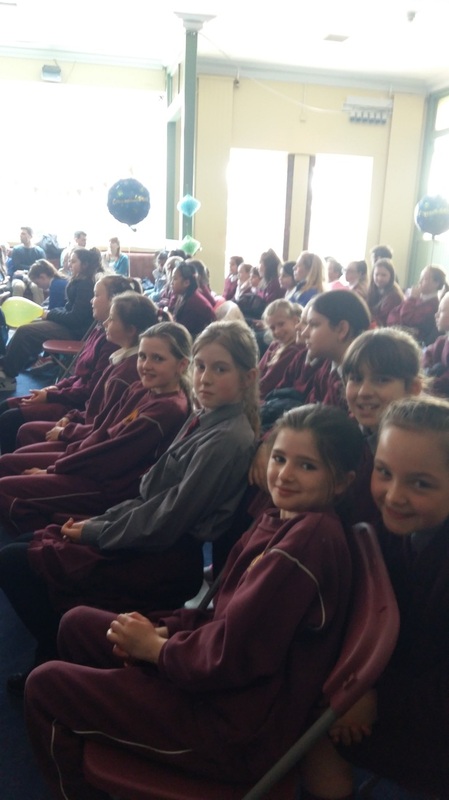 Here are a few photos of the event. 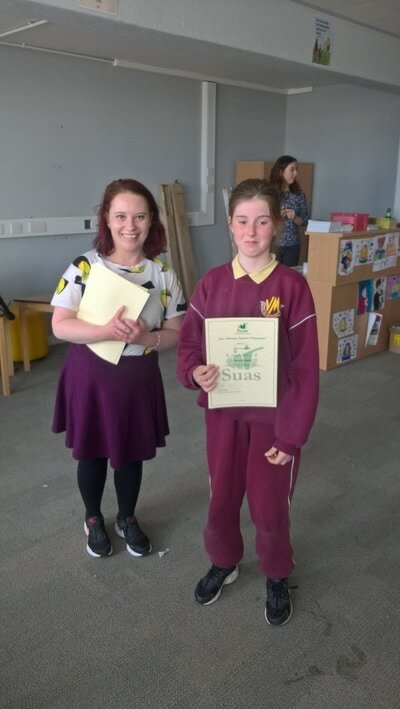 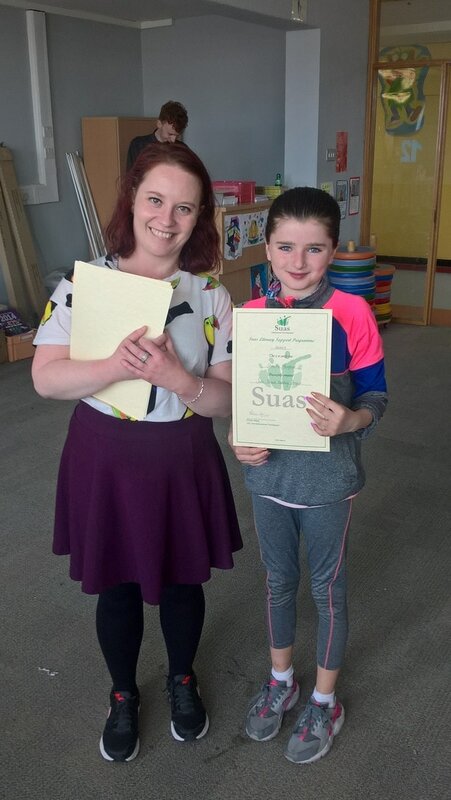 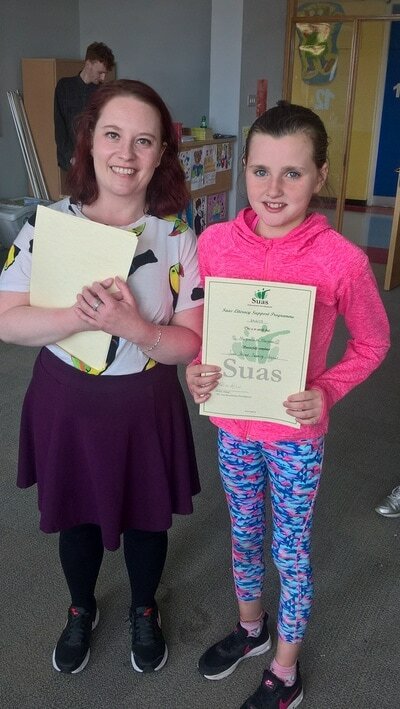 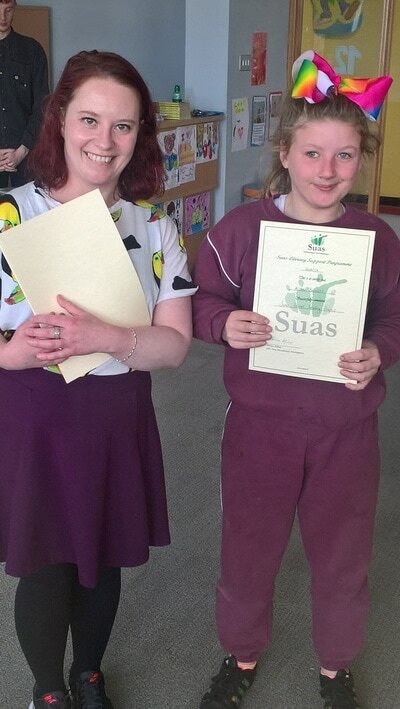 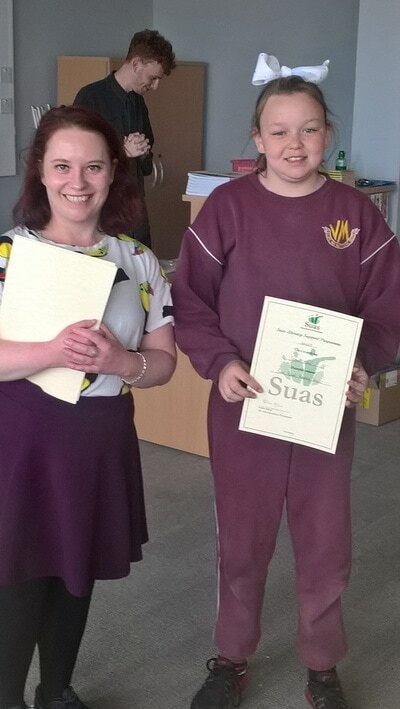 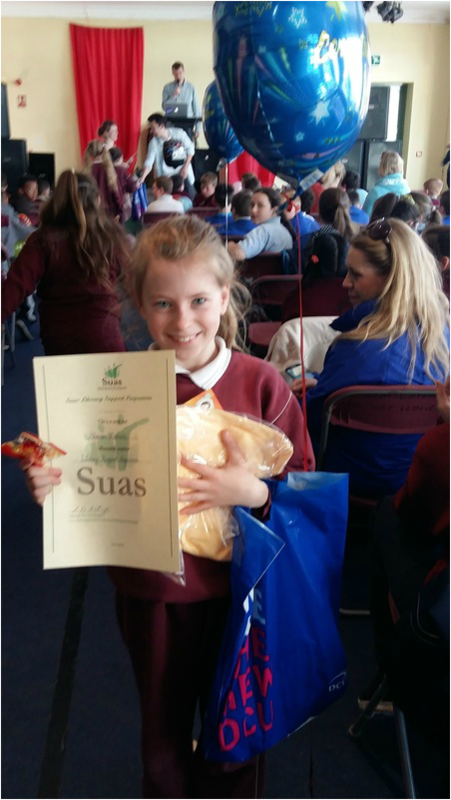 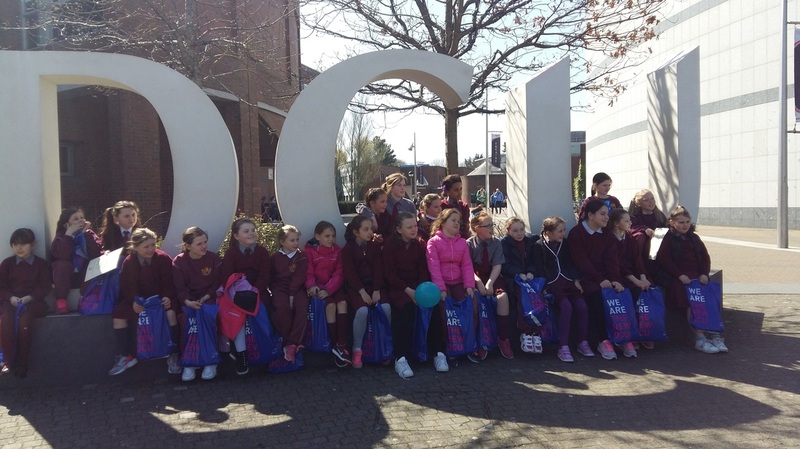 Congratulations to the girls from 4th and 5th classes that successfully graduated from the '15/'16 SUAS programme. 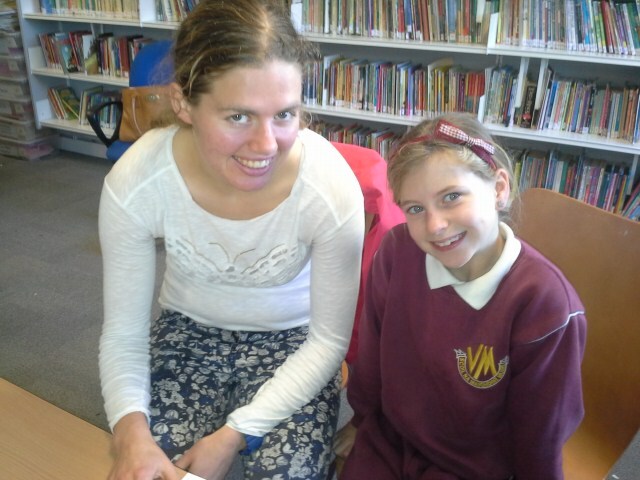 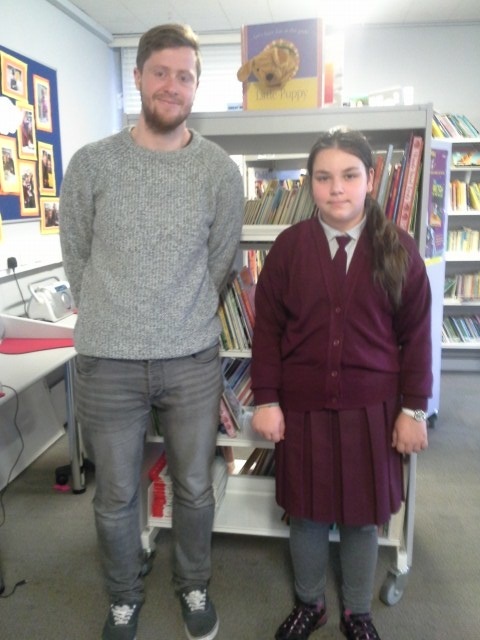 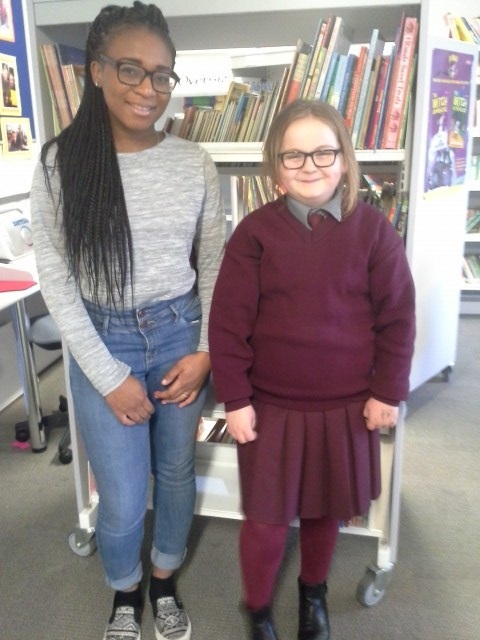 The girls have worked very hard every week and have really enjoyed their paired reading sessions with all the volunteers. 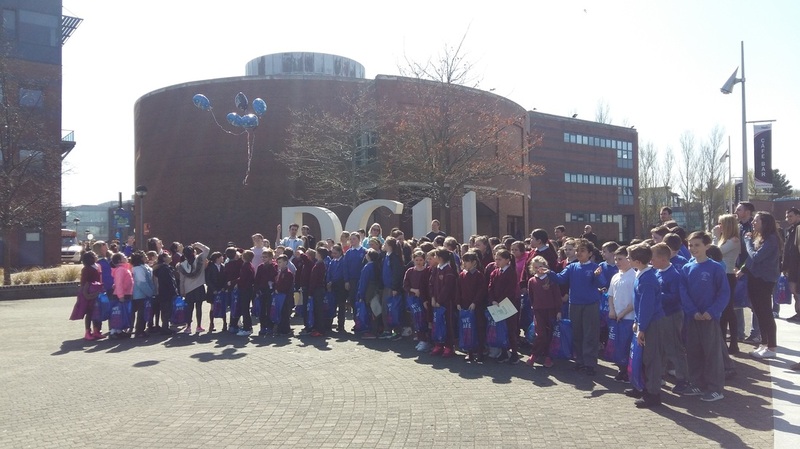 The graduation ceremony was held on the first sunny day of the year on the D.C.U campus. 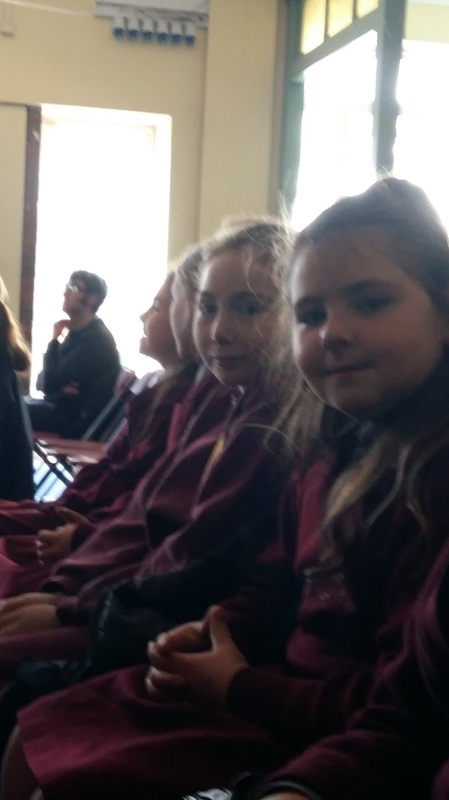 The girls were awarded certificates and were given bags full of books and other goodies. 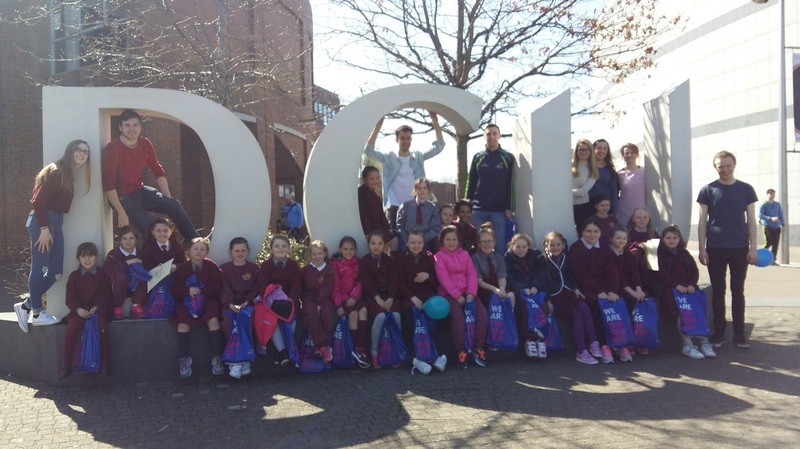 The girls were also given a tour around the D.C.U campus by a student called Liam. 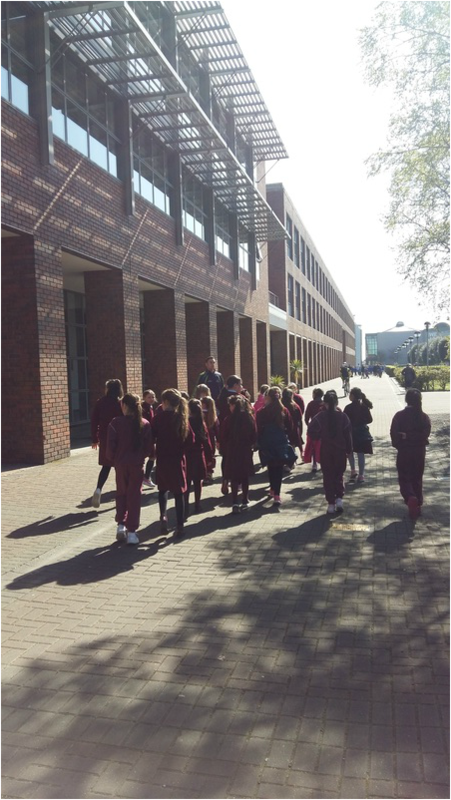 He showed them all the buildings and facilities that will be available to our girls,should they decided to study there in the future. 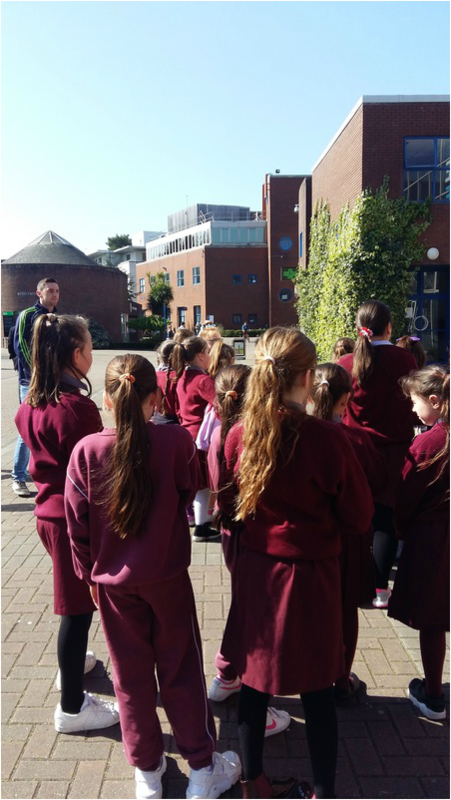 I have no doubt that there are aspiring nurses, teachers and engineers, among other professions, in our SUAS group this year. 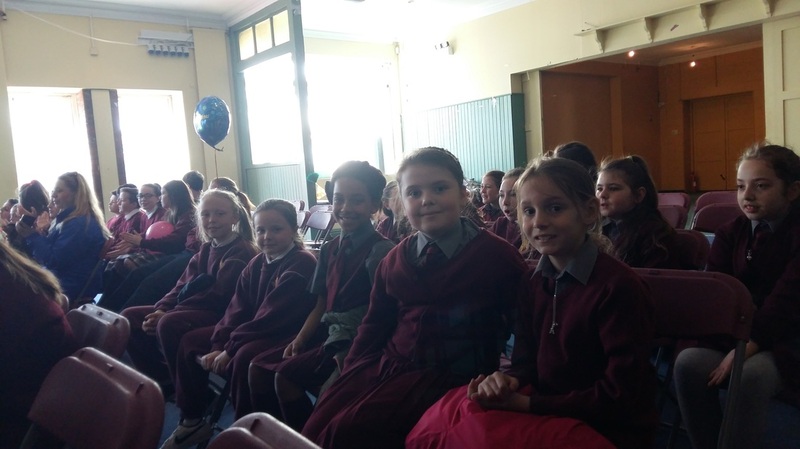 These are just a few pictures from Graduation Day. 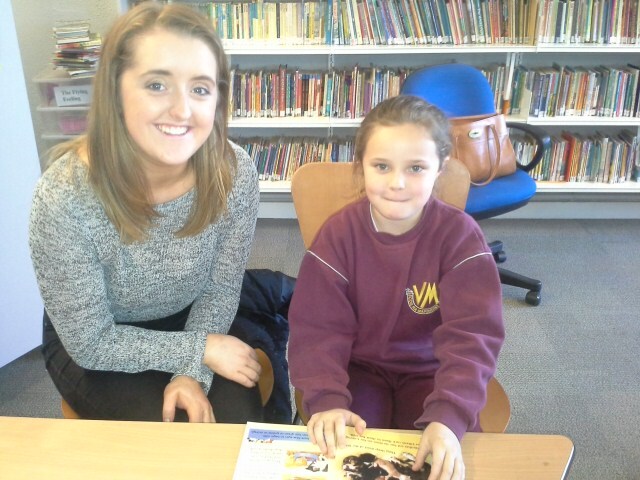 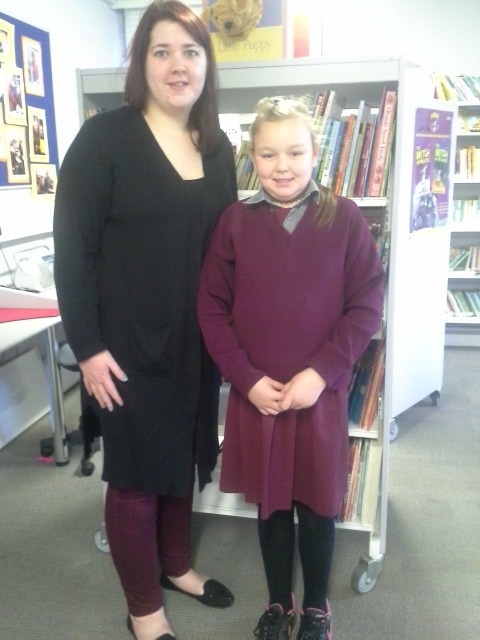 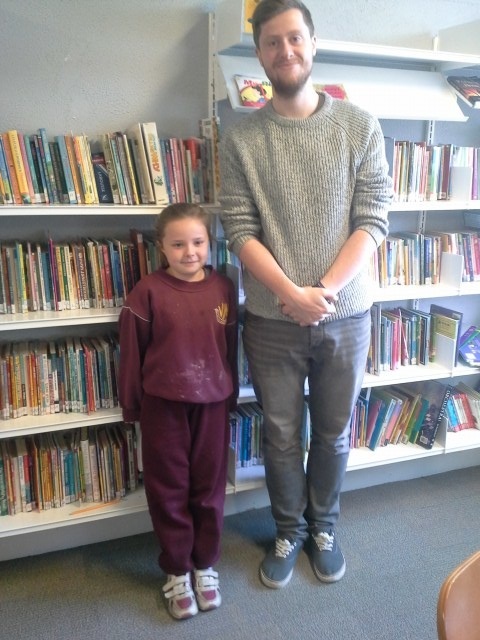 We are lucky in our school to have volunteers from DCU to mentor our students in Literacy. 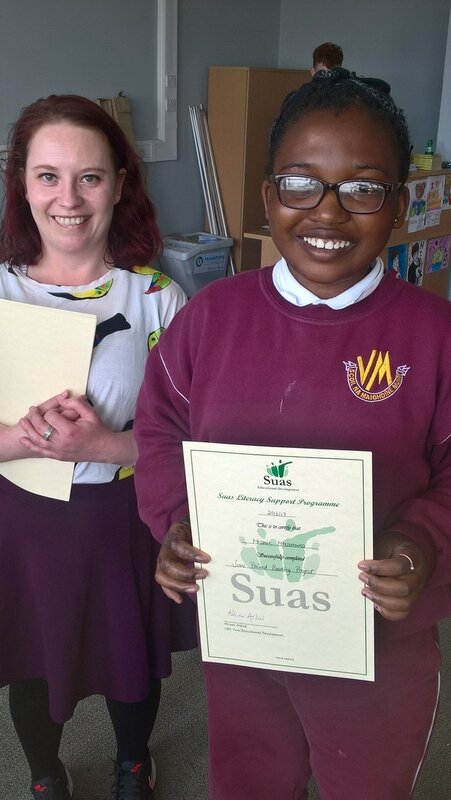 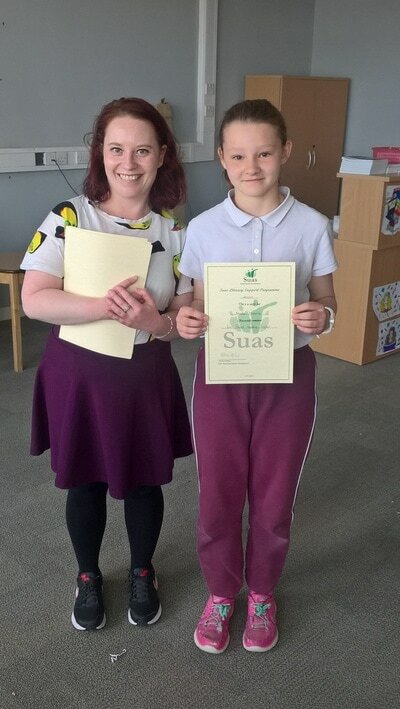 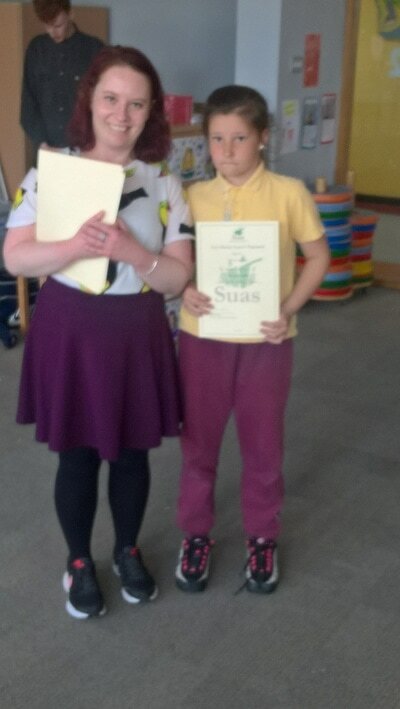 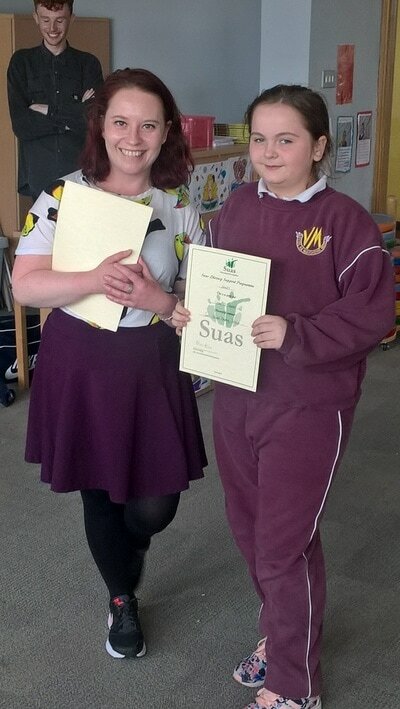 We completed the SUAS paired reading programme and each pupil was awarded a Certificate to acknowledge their achievement in June 2015. 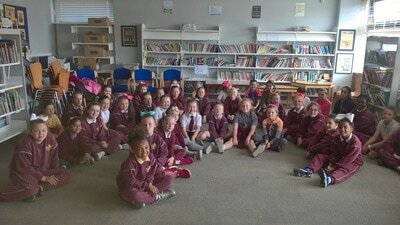 We are continuing the programme this school year. 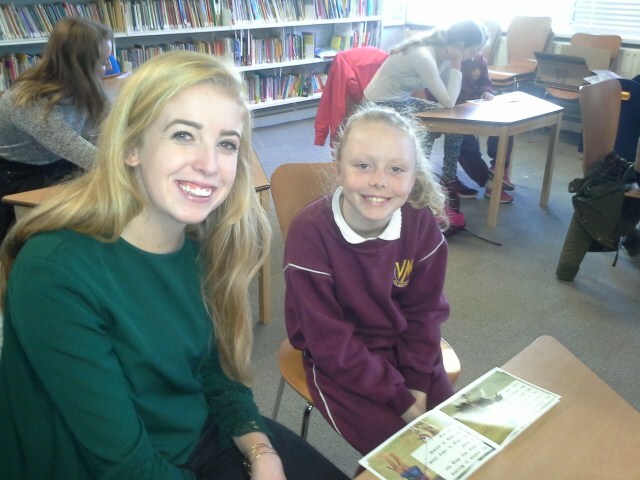 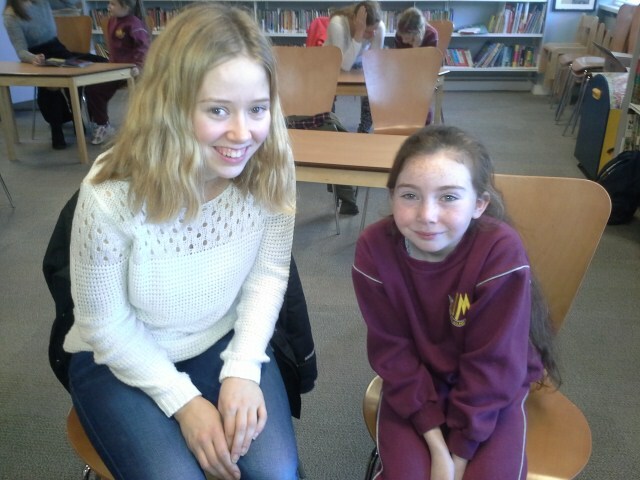 Pictured below are some of our pupils with their SUAS reading partners. 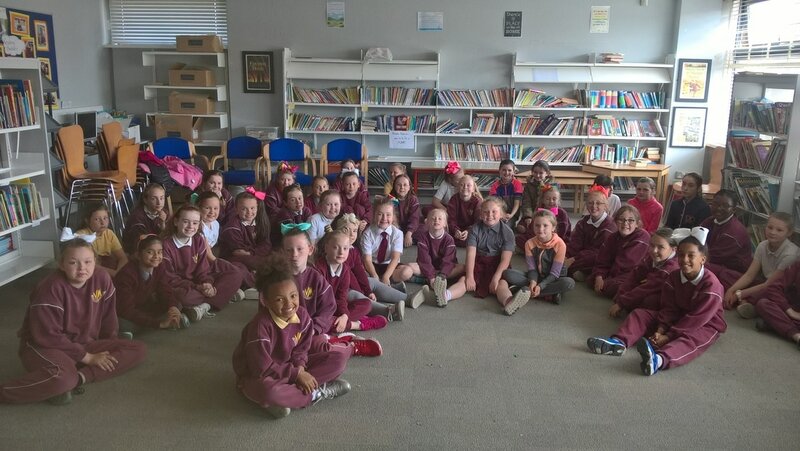 These pupils started the programme in October 2015.